GFN 98.7MHz - The 4th Audition for GFN ! "SO YOU THINK YOU CAN BE A RADIO DJ?" on October 14th at the GFN studios. Come show us what you got or what you don't got! 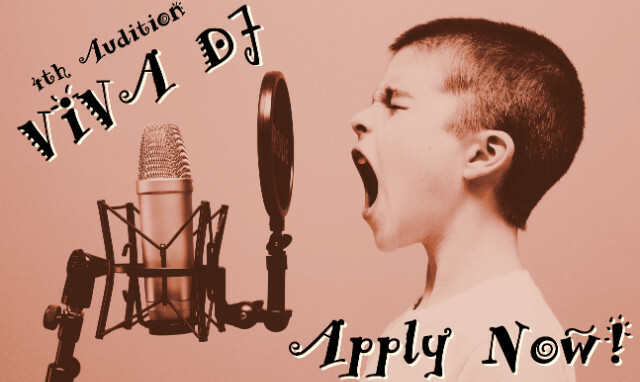 You can be an official GFN DJ for one-month music program "VIVA DJ". No Experience necessary and all applicants will be considered regardless of age or nationality. But good English skills needed. Application deadline is Octber 12. GFN에서 "청취자 라디오 진행자"를 공개 모집합니다. 나이, 성별, 국적, 경력에 관계 없이 누구나 지원하실 수 있습니다. 한 달 동안 VIVA DJ 음악 프로그램을 책임지고 이끌어가게 됩니다. 지역에서 살아가는 소소한 일상과 음악을 소개합니다. 청취자 여러분의 많은 관심과 참여 부탁드립니다. □ Host(DJ) fee will be paid under the GFN rule after one-month show.